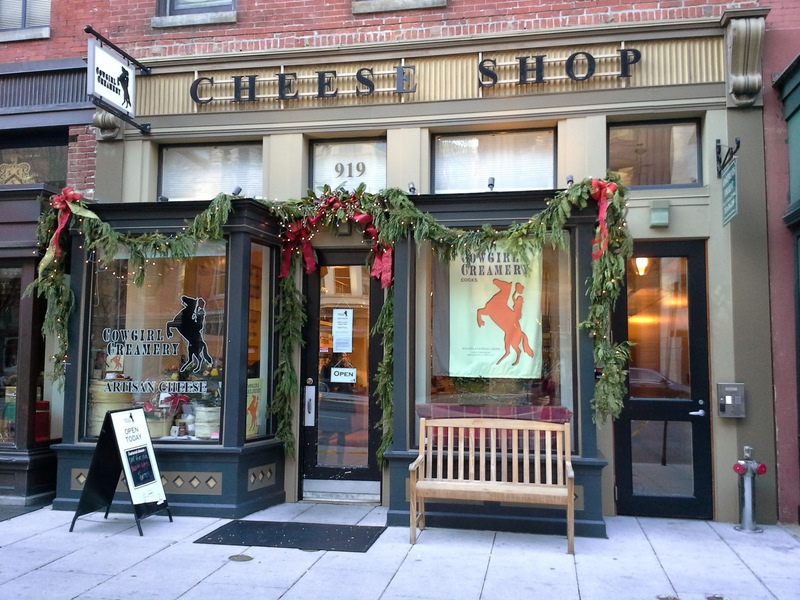 It is a sad day in Penn Quarter and downtown DC as we are passing on the news that the Cowgirl Creamery (919 F St NW) will close its doors at the end of December. A tweeted letter from the owners last Friday provides the details and lists all that the business learned from being on F Street NW (see the middle document in the photo below too). 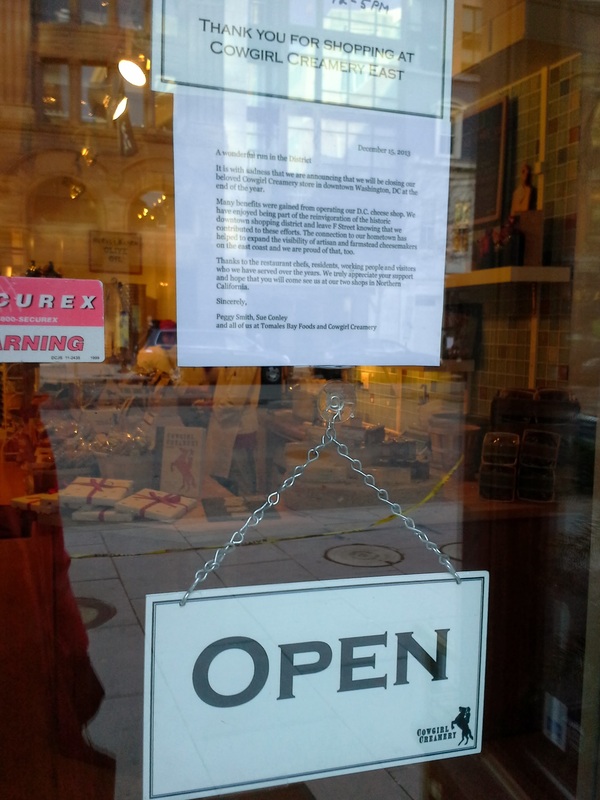 The letter does not cite a reason for closing but this article from the Washington CityPaper quotes the owners discussing the business dynamics involved in Cowgirl’s decision to close. We stopped by the store shortly after it opened in June of 2006 some seven plus years ago at a time when vacant storefronts, flat top parking lots, and the hope that downtown residents would get a grocery store was still alive. As Balducci’s pulled out and the grocery store dream faded, Cowgirl filled portions of the bodega niche offering staples like milk and bread albeit at higher prices; they had the cheese, beer, and wine covered too. Alas, Cowgirl will not be in the neighborhood beginning in 2014. The good news is that a favorite cheese of ours, Mt. Tam, will still be purchasable online/by mail order. Whole Foods and Balducci’s in the DC area carry Cowgirl’s cheeses too. Cowgirl Creamery’s Three Cheese Events! This is terrible news. Was just in San Fran thinking how lucky we are to have cowgirl here. Damn. @pqliving @CowgirlCheeseDC that is sad news! Oooh, maybe we can finally get a burrito place around here…. I noticed that Allen Edmunds (next door to Cowgirl) is opening (another?) location at City Center. I assume that the demand for $250 shoes does not support two stores two blocks from each other. I wonder if there is something in play to take a larger space on F Street. This is terrible for the neighborhood! Allen Edmonds isn’t next door to Cowgirl. Alden is. Different companies but similar styles (made in US quality footwear). I’ve been there a few times–too bad they are closing. Of interest to blog readers, there’s the “Cowgirl Creamery Cookbook” if you want to track down a copy.